Hotel Grand Shiva Haridwar offer services. 1) Largest Personal Parking, ample and covered parking space. 2) Biggest hotel with International standards. 5) A multi cuisine restaurant. 6) Meetings & Conference hall/ Party hall. 9) 24 Hrs. power backup. 10) Fully hot & cold air conditioning. 11) 24 Hrs. Hot & cold water supply. 13) 42" LCD in rooms. 14) Mini Bars in rooms. 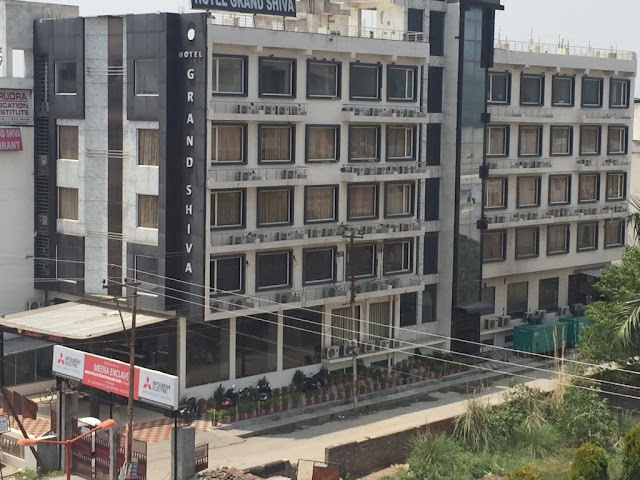 To reach Hotel Grand Shiva Haridwar - Shankar Ashram Chowk Haridwar Delhi Road, Haridwar, Uttrakhand 249407, India.